— Check out our picks for Feb. 15-17, including Middleburg’s Winter Weekend Sale, Valentine’s celebrations at our local restaurants, Jazz in the Hills at 50 West, a special chocolate truffle tasting at Cana Vineyards and Winery, and more. Join the town of Middleburg Feb. 15-17 for the 8th annual Winter Weekend Sale. During the Winter Weekend Sale, visitors will be able to hunt for some wonderful gifts for themselves and others while experiencing the small town charm of Middleburg. The sale, sponsored by the Town of Middleburg and the Middleburg Business & Professional Association, will be held Friday and Saturday from 10 a.m.-5 p.m. and Sunday as posted by shops. Through Feb. 17, indulge in Cana’s luxurious Porta Bella dessert wine paired with a delicious handcrafted pink peppercorn truffle from local chocolatier Kingsbury Chocolates. This Valentine’s tasting is $15 and includes their signature tasting of eight wines with a closing pairing of smooth chocolate and velvety dessert wine. Settle in by the windows and take in the sun setting over the Blue Ridge. 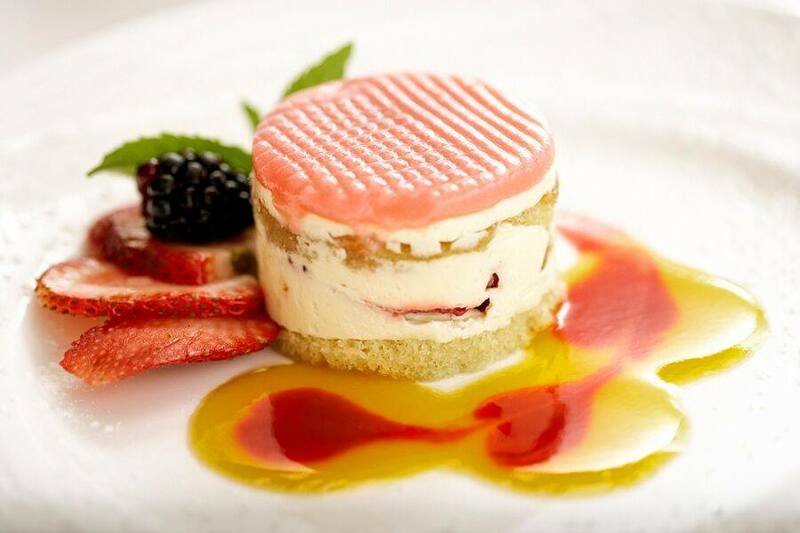 Valentine’s Day Dinner at Harrimans Virginia Piedmont Grill: Feb. 15-16 | 5-10 p.m.
Make this romantic holiday unforgettable and treat your Valentine to an elegant dinner at Harrimans. Gaze upon sweeping views of the Virginia countryside while indulging in an enchanting five-course dinner created by Executive Chef Ryan Arensdorf. After dinner, indulge in a custom confection for two created by Executive Pastry Chef Jason Reaves. Valentine’s Day Celebration at Girasole: Feb. 15 | 5-10 p.m. Treat your Valentine to a delicious four-course meal prepared by Chef Patierno and enjoy the romantic ambiance of our dining room created by Lydia Patierno. The cost of the four-course dinner is $85 per person or $120 per person with 3 wine pairings; exclusive of tax and gratuity. The menu options include local oysters Florentine, Taleggio ravioli with aged balsamic, housemade lasagna Bolognese, housemade pastries, and more. Valentine’s Celebration Dinner at The Red Fox Inn & Tavern: Feb. 15-17 | 5-8:30 p.m. The Red Fox Inn & Tavern will be serving a special three- or four-course dinner in celebration of Valentine’s Day from Feb. 15-17. The menu includes oysters on the half shell, Virginia peanut soup, signature crab cakes, dark chocolate torte and more. 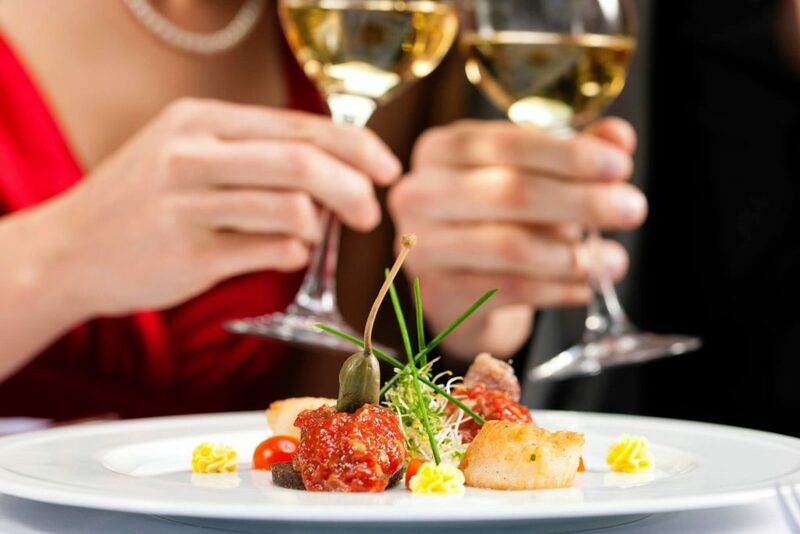 The three-course dinner is $75 per person (optional Virginia wine pairing is $30 additional). The four-course dinner is $90 per person (optional Virginia wine pairing is $36 additional). Taxes, beverages and gratuity are not included in the price per person. Reserve your table now online or by calling 540-687-6301. Beat the winter blues and join 50 West for Jazz in the Hills. Enjoy music by Bergmaot Rose, a sound palette of world rhythms infused with a French twist. Inspired by early ’90s new wave, Bergamot Rose’s songs are composed of tart lyrics balanced by vibrant rhythms and instrumentation. During Jazz in the Hills, 50 West will feature soups and delicious bread and cheese baskets paired with their wines. Chocolate and Wine Tastings at Greenhill Winery & Vineyards: Daily in February | Noon-6 p.m.
“Romantic Dinner at Home” at Market Salamander: Feb. 13-16 | 8 a.m.-4 p.m. Romance by the Glass at Gold Cup Wine Bar: Feb. 14-16 | 11 a.m.-11 p.m.
Winter Sale at Tri-County Feeds, Fashions, Finds: Through Feb. 15 | 9 a.m.-6 p.m.
“Owl Always Love You” Paint Nite at Mt. Defiance Cider Barn: Feb. 15 | 7 p.m. Meditation & Yoga with Marcus Johnson at Salamander Resort & Spa: Feb. 16 | 8-9 a.m.
Around the World Tasting Featuring Sauvignon Blanc at 50 West: Feb. 16 & 17 | 11 a.m.
Valentine’s Weekend Brunch at The Red Fox Inn & Tavern: Feb. 16 & 17 | 11 a.m.-2 p.m. Adult Hot Chocolate Bar at Gold Cup: Feb. 16 | 3-5 p.m.
Dinner and Jazz with Marcus Johnson at Salamander Resort & Spa: Feb. 16 | 6-9 p.m.
Brunch with Marcus Johnson at Salamander Resort & Spa: Feb. 17 | 10 a.m.-1 p.m.
Carriage Rides with Doc & Molly at Greenhill Winery & Vineyards: Feb. 17 | 1-4 p.m. Paint Nite Red Wine Still Life at Three Fox Vineyards: Feb. 17 | 2-4 p.m.
Greenhill Winery & Vineyards Wine Dinner at The Conche: Feb. 21 | 7-10 p.m. Attend an exclusive wine dinner at The Conche as they partner with Greenhill Winery and Vineyards. The dinner will feature seven Greenhill wines with carefully selected pairings. This dinner will be the perfect date night to gift your significant other for Valentine’s Day! Art of the Piedmont Art Auction & Reception at Middleburg Community Center: Feb. 22 | 6-8 p.m.
Join us for this annual event featuring local artists and benefitting Middleburg Montessori School. VIP tickets with an early showing starting at 5 p.m. are $50. General admission tickets are $25. Click here to purchase tickets. Chocolate and Wine Tastings at Greenhill Winery & Vineyards: Daily | Noon-6 p.m. Happy Hour at Hunter’s Head Tavern: Monday-Thursday | 3-6 p.m.
Wine & Painting Class at Salamander Resort & Spa: Feb. 19 | 7-9 p.m.
Gallery Talk at the National Sporting Library & Museum: Feb. 20 | 2-3 p.m.
Farm and Brew Dinner at Goodstone Inn & Restaurant: Feb. 20 | 6:30-9:30 p.m.
“Rancher, Farmer, Fisherman” at The Hill School: Feb. 22 | 5:30-7:30 p.m. Benefit Concert and Gala with A Place to Be: Feb. 23 | 7-9 p.m.
Expedition K2M: The STEM Summit 2019 at Foxcroft School: Feb 23 | 8:30 a.m.-6 p.m.
Coffee with the Curator: “Sidesaddle, 1690-1935” at the National Sporting Library & Museum: Feb. 23 | 10-11:30 a.m.
Gnocchi Madness Class at Salamander Resort & Spa: Feb. 23 | 2-4 p.m. Adult Hot Chocolate Bar at Gold Cup: Feb. 23 | 3-5 p.m.
Free Community Day at the National Sporting Library & Museum: Feb. 24 | 10 a.m.-5 p.m.
Carriage Rides with Doc & Molly at Greenhill Winery & Vineyards: Feb. 24 | 1-4 p.m.
« Find Your Perfect School Today!